I'm DYING!! 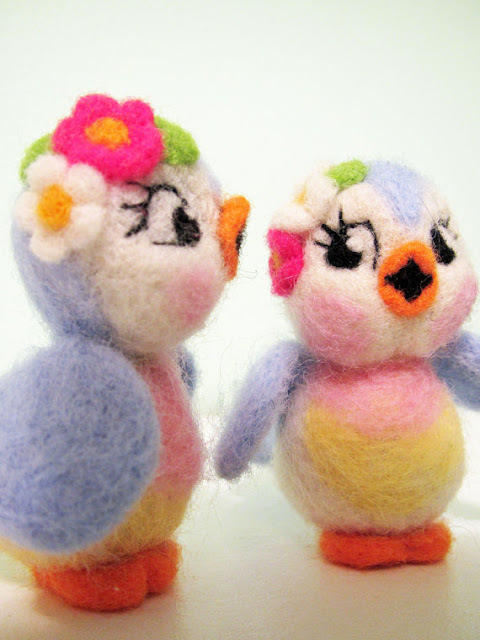 Dying for these cute little birdies. 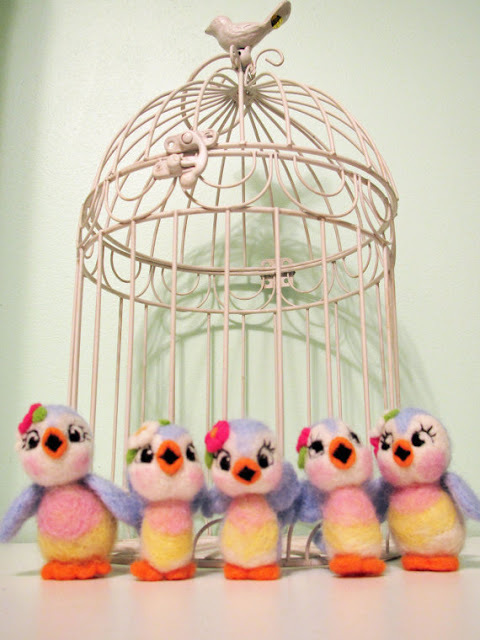 Inspired by the Lefton porcelain bluebirds from the 1950's, this little retro-styled, needle felted bluebirds made by Melanie Nord-Monsees are light as a feather and ready to fly to your home! Unlike the rare and hard to find Lefton or Napco birds, this birdie won't ever break no matter how many times you drop it! They are Great for home decor or a gift to brighten someone's day. Add one to a flower arrangement, put one on your computer monitor, your car...clip one on your kitchen curtain, or place one on the edge of your favorite plant! Need a bird for that birdcage? There's so many places for this little bird to perch!